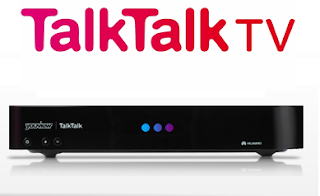 TalkTalk has begun informing some TV customers of above-inflation price rises to their TV packages as part of a rejig of the channels it offers customers. The ISP operates packages of extra channels called "boosts" on its YouView-based TV platform. From 14th August 2016, TalkTalk is changing some of its boosts and moving some of the channels contained in them around. The Entertainment Boost is gaining some extra channels - H2, Nat Geo Wild and C&I that are currently only available in the Extra Boost. The Entertainment Extra Boost, which combines children's, music and entertainment channels at a cheaper rate than getting them all separately, is closing and subscribers will instead move to the revised Entertainment Boost plus a separate Kids Boost - effectively moving from a all-in-one boost to two separate, and more expensive, standalone boosts. For subscribers with TalkTalk's "Plus TV" service, the changes mean a £2 (40%) a month increase from £5 to £7 for Entertainment Boost subscribers, and a £2 (20% ) a month increase for Entertainment Extra Boost subscribers, although Extra Boost subscribers have the option to ditch the Kids channels and save £5 (or £3 based on what they pay until mid-August). Different prices apply to TalkTalk TV customers with "Essential TV", with the Boosts generally costing up to £5 a month more, cancelling out many of the savings of opting for Essential TV over Plus TV. But with new customer offers and retention deals, there are also significant variations on how the changes will affect some TalkTalk TV users. An email is being sent to affected users outlining how the changes will affect them personally and how it will affect their monthly bill. Any move by cost-conscious parents currently subscribing to the Entertainment Extra Boost to remove the children's channels will note the changes are timed to coincide with the middle of the school summer holidays in much of the UK. TalkTalk received criticism from viewers last month when it was announced that a number of Discovery's channels would be removed from the TV service at the end of June. Justifying the latest round of changes, TalkTalk points to the fact that the prices of these Boosts has remained unchanged since the service launched with the adjustments reflecting "market changes". The company faces stiff competition, especially from the likes of online TV services NOW TV and TVPlayer Plus who allow viewers to add pay TV channels without a contract or being bound to a specific internet provider. These online TV services can be accessed on a number of smart boxes or sticks plugged into normal TVs, as well as via mobile apps. The TalkTalk website still reflects the current pricing model and various temporary discounts for Boost packs to new customers signing up. Of TalkTalk's TV service, only channels between channel 300 and 599 are delivered via the ISP. Channels 1-299 and 600+ are from Freeview, delivered via the TV aerial.